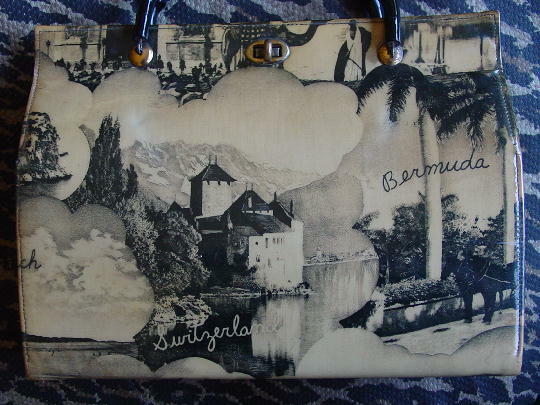 This vintage handbag has a collage of pictures of various international scenes and the name of what is pictured - Switzerland, Bermuda, Egypt, Holland, Greece, and Arch of Triumph (France). 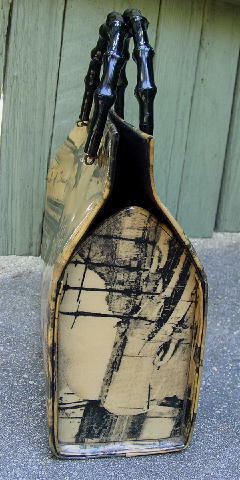 The entire exterior surface has a smooth plastic covering, which has a yellowish-cream cast to it. 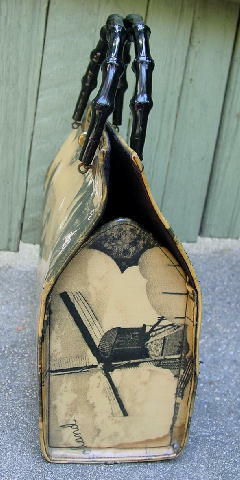 It has the appearance of looking at old photographs. The pictures appear to be from the 1950s. 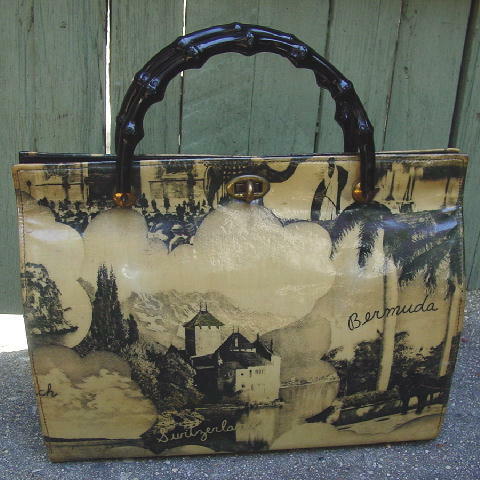 It has two black faux bamboo 12" long handles and a small circular knob and slot closure. The interior black fabric does have some age (lighter area) spots. The lighter areas on the front picture are reflections. It's definitely eyecatching and quite the conversation piece. 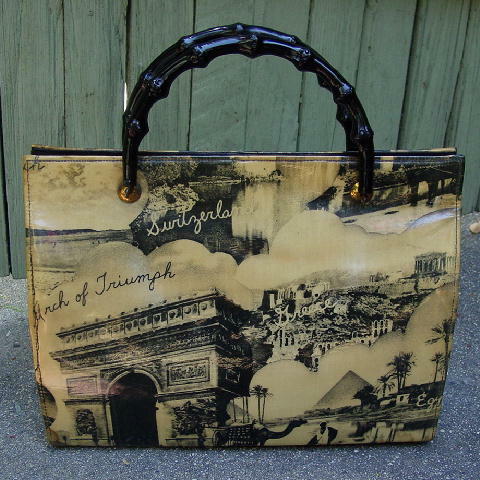 It's from a former model, who had to sell her collection of vintage purses, shoes, and scarves when she sold her house and moved to an apartment in Manhattan.